Come along to the Pharmacy recruitment fair on 22 February. It’s on from 11am-2pm in Cockcroft Hall. 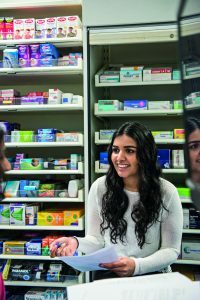 Open to students in all years you can find out about pre-reg placements and other pharmacy related jobs, part-time and summer work, as well as volunteering. Exhibitors include Boots UK, Kamsons Pharmacy, Lloyds Pharmacy, Surrey and Sussex Healthcare NHS Trust, and Western Sussex Hospitals NHS Foundation to name but a few. You’ll also find some tips on making the most of a careers fair here.